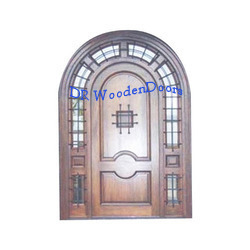 Pioneers in the industry, we offer teak wood carving door, designer wooden door, wooden carved door, double wood designer door, solid designer wooden door and decorative designer door from India. 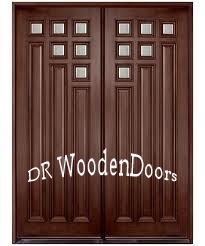 Backed by rich industry experience, we are manufacturing, supplying and wholesaling a wide array of Designer Wooden Doors. All these doors are manufactured at our state-of-the-art infrastructure facility using high quality wood and other material. Our procuring agents source the wood to be used in production from certified vendors of the market. 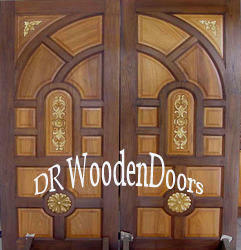 Owing to our rich industry experience, we are manufacturing, supplying and wholesaling Wooden Carved Door. Latest machines and equipment are used by our well-trained carpenters to manufacture the offered range of doors. These doors are offered by us in various designs, sizes and polishes to cater to the diverse requirements of our esteemed customers. We hold expertise in manufacturing, supplying and wholesaling superior quality Decorative Designer Door. These designer doors are manufactured keeping in mind the variegated requirements of our respectable customers using superior quality wood. The offered range of doors is high in demand amongst clients due to its impeccable finishing, durability and elegance. 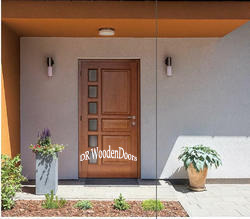 Our organization is counted amongst the most distinguished manufacturers, suppliers and wholesalers of Wooden Designer Door. These doors are manufactured keeping in consideration the latest trends going on in the market. Best quality wood that id sourced from renowned vendors of the market is used in the manufacturing process. 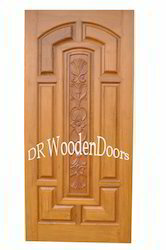 Looking for Designer Wooden Door ?